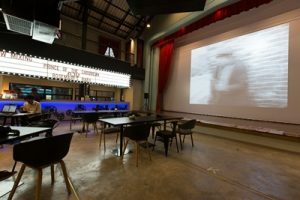 One of Bangkok’s oldest and most prominent cinemas now turned a landmark boutique hotel located in the creative district of Bangkok is offering a special festive weekend film treat for the city’s francophiles: Prince Theatre Heritage Stay in collaboration with the French Embassy are hosting a ‘French Weekend Movieclub’, showing up to two popular movies (with English and Thai subtitles) per night on the giant, floor-to-ceiling screen in the hotel Lobby on a monthly basis during the last weekends of December 2018 up until February 2019 – free of charge. On Friday, 28-29 December 2018, “Le Grand Méchant Renard et Autres Contes (“The Big Bad Fox and Other Tales”), a 2017 French animated anthology comedy film directed by Benjamin Renner and Patrick Imbert; and “Tamara”, a 2016 teen comedy film directed by Alexandre Castagnetti will be screened. Movies showing the weekend of Friday, 25-26 January 2019 are: “Les Souvenirs” (“Memories”), a touching 2014 fiction about a grandmother who escapes from a nursing home and her young grandson directed by Jean-Paul Rouve; and “Chante Ton Bac D’Abord” (“We Did It On A Song”), a 2014 musical docudrama directed by David Andre. “Petit Paysan” (“Bloody Milk”), a 2017 film with the French countryside as backdrop and directed by Hubert Charuel; and “Ridicule”, a 1996 classic period fiction taking place at the Versailles court directed by Patrice Leconte, will be screened Friday, 22-23 February 2019. Showtime stars at 18:00 hrs. 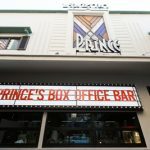 with complimentary Popcorn served and a 10% discount on food and drinks at the hotel’s iconic Box Office Bar which serves colourful and creative cocktails and mocktails some of which are named after classic Hollywood blockbusters. Enjoy a cozy evening with family and friends at the Prince Heritage Stay and let the Holiday season begin!